China Life Insurance Company Ltd. (NYSE:LFC) investors should be aware of a decrease in hedge fund sentiment recently. LFC was in 7 hedge funds’ portfolios at the end of December. 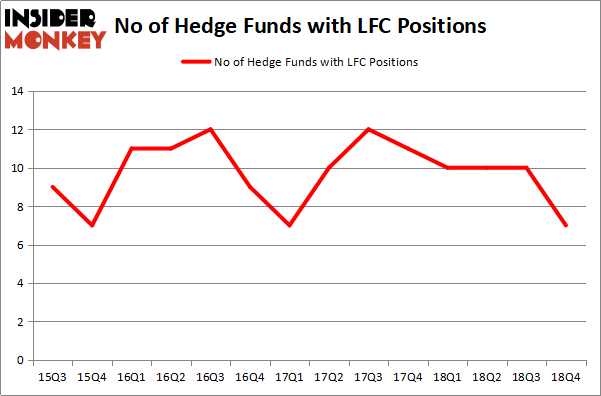 There were 10 hedge funds in our database with LFC holdings at the end of the previous quarter. Our calculations also showed that LFC isn’t among the 30 most popular stocks among hedge funds. In the financial world there are a multitude of gauges stock market investors use to value stocks. A couple of the most under-the-radar gauges are hedge fund and insider trading signals. Our experts have shown that, historically, those who follow the top picks of the best investment managers can outperform the market by a significant margin (see the details here). We’re going to take a peek at the new hedge fund action regarding China Life Insurance Company Ltd. (NYSE:LFC). What does the smart money think about China Life Insurance Company Ltd. (NYSE:LFC)? Heading into the first quarter of 2019, a total of 7 of the hedge funds tracked by Insider Monkey were long this stock, a change of -30% from the second quarter of 2018. Below, you can check out the change in hedge fund sentiment towards LFC over the last 14 quarters. With hedge funds’ capital changing hands, there exists a few notable hedge fund managers who were boosting their stakes substantially (or already accumulated large positions). The largest stake in China Life Insurance Company Ltd. (NYSE:LFC) was held by LMR Partners, which reported holding $13.4 million worth of stock at the end of September. It was followed by Arrowstreet Capital with a $11.3 million position. Other investors bullish on the company included Renaissance Technologies, Segantii Capital, and PEAK6 Capital Management. Because China Life Insurance Company Ltd. (NYSE:LFC) has experienced declining sentiment from the aggregate hedge fund industry, it’s safe to say that there exists a select few funds that elected to cut their full holdings heading into Q3. 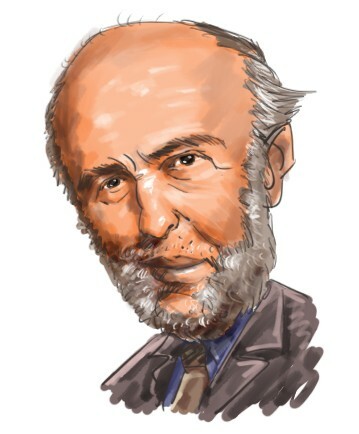 At the top of the heap, D. E. Shaw’s D E Shaw dumped the largest investment of all the hedgies tracked by Insider Monkey, comprising close to $9.3 million in stock. Israel Englander’s fund, Millennium Management, also dumped its stock, about $3.6 million worth. These bearish behaviors are important to note, as aggregate hedge fund interest fell by 3 funds heading into Q3. Let’s go over hedge fund activity in other stocks similar to China Life Insurance Company Ltd. (NYSE:LFC). We will take a look at Fox Corporation (NASDAQ:FOXA), Stryker Corporation (NYSE:SYK), Mondelez International Inc (NASDAQ:MDLZ), and Automatic Data Processing, Inc. (NASDAQ:ADP). This group of stocks’ market caps are similar to LFC’s market cap. As you can see these stocks had an average of 50.25 hedge funds with bullish positions and the average amount invested in these stocks was $3801 million. That figure was $41 million in LFC’s case. Fox Corporation (NASDAQ:FOXA) is the most popular stock in this table. On the other hand Automatic Data Processing, Inc. (NASDAQ:ADP) is the least popular one with only 42 bullish hedge fund positions. Compared to these stocks China Life Insurance Company Ltd. (NYSE:LFC) is even less popular than ADP. Our calculations showed that top 15 most popular stocks among hedge funds returned 19.7% through March 15th and outperformed the S&P 500 ETF (SPY) by 6.6 percentage points. Hedge funds were also right about betting on LFC as the stock returned 29.2% and outperformed the market as well. Were Hedge Funds Right About Buying Costco Wholesale Corporation (COST)? Were Hedge Funds Right About Buying United Technologies Corporation (UTX)? Hedge Funds Have Never Been This Bullish On Thermo Fisher Scientific Inc. (... Itau Unibanco Holding SA (ITUB): Are Hedge Funds Right About This Stock? Were Hedge Funds Right About Dumping Twenty-First Century Fox Inc (FOX)? Do Hedge Funds Love Diageo plc (DEO)?